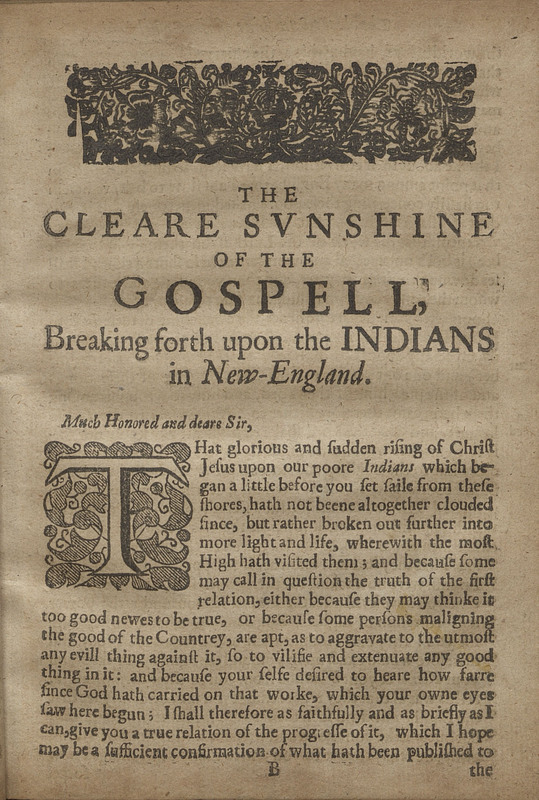 The Clear Sun-shine of the Gospel Breaking Forth Upon the Indians in New-England: Or, An Historicall Narration of Gods Wonderfull Workings Upon Sundry of the Indians, Both Chief Governors and Common-people, in Bringing Them to a Willing and Desired Submission to the Ordinances of the Gospel ? London: R. Cotes for J. Bellamy, 1648. 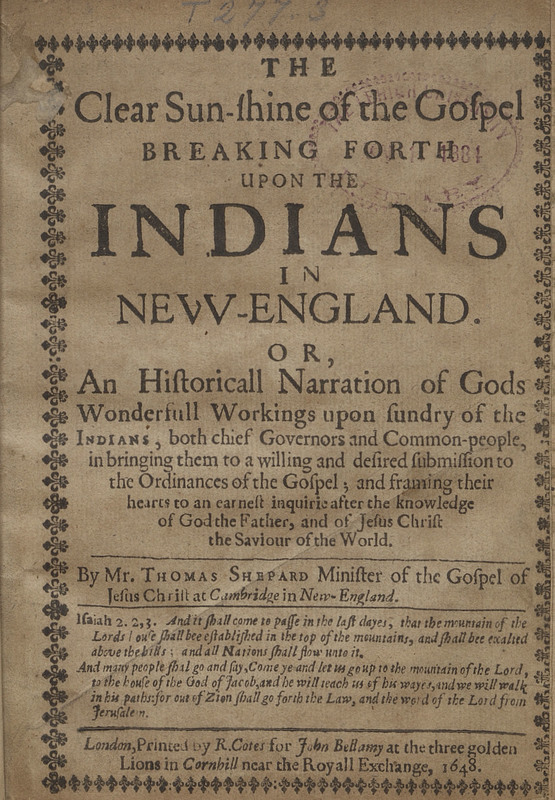 Thomas Shepard (1606-1649) and John Eliot (1604-1690), “The Clear Sun-shine of the Gospel Breaking Forth Upon the Indians in New-England: Or, An Historicall Narration of Gods Wonderfull Workings Upon Sundry of the Indians, Both Chief Governors and Common-people, in Bringing Them to a Willing and Desired Submission to the Ordinances of the Gospel ?,” Lehigh University Omeka, accessed April 22, 2019, https://omeka.lehigh.edu/items/show/3758.